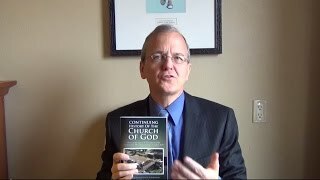 This sermon covers various questions and provides biblically-based answers which help show the position of the Continuing Church of God on the subjects. The subjects included the mortality of the soul, how Christians should view and explain reincarnation, the original ‘creed,’ and why Jesus could not be Michael the archangel (like the Jehovah’s Witnesses claim). Written articles related to these matters are also on this page. Here is a link to the video sermon: CCOG Answers: The Soul, Reincarnation, Creeds, and Michael the Archangel. Universal Offer of Salvation: There Are Hundreds of Verses in the Bible Supporting the Doctrine of True Apocatastasis Do you believe what the Bible actually teaches on this? Will all good things be restored? Will God call everyone? Will everyone have an opportunity for salvation? Does God’s plan of salvation take rebellion and spiritual blindness into account? What about reincarnation? Related sermon videos include Universal Offer of Salvation I: God is love and Universal Offer of Salvation II: The Age to Come and the ‘Little Flock’ and Universal Offer of Salvation III: All Are to Know Jesus, But When? and Universal Offer of Salvation IV: Will the Guilty be Pardoned? and Universal Offer of Salvation V: All Israel Will be Saved? A version of the main article was also translated in the Spanish language: Oferta universal de salvación: Hay cientos de versículos en la Biblia que apoyan la verdadera doctrina de la Apocatastasis. This entry was posted on Saturday, May 2nd, 2015 at 12:01 am	and is filed under COG News, Doctrine.